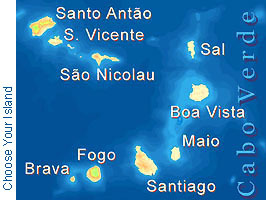 Pousadas, in Colonial Portuguese tradition, are old-fashioned cosy guesthouses with good service at a reasonable price. Pousada da Luz is located in a quiet side-street of Santa Maria,next to to the center but never the less protected from noise and stress . A walk of 10 min gives access to the wonderful beaches as much in the East as in the West. 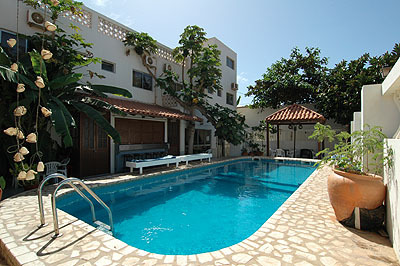 The Cape Verdean owner family has a long tradition and runs the hotel in a very friendly way. 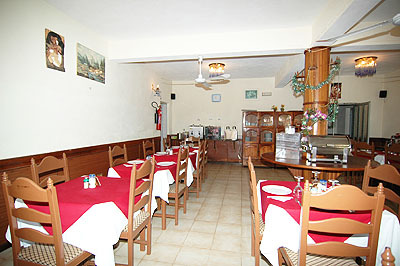 The kitchen offers cape verdean and international food. 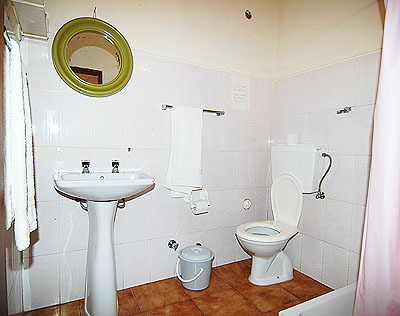 Rooms are spacy and well equipped with a balcony, private shower and WC and TV. The sweet water pool is of free access for guests. 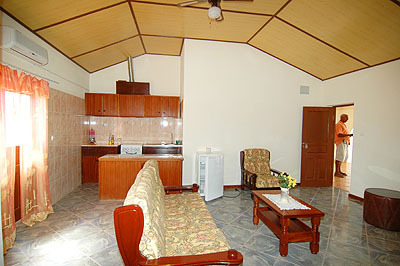 Apartments offer two full-sized bedrooms and a spacy living room with full sized kitchen. 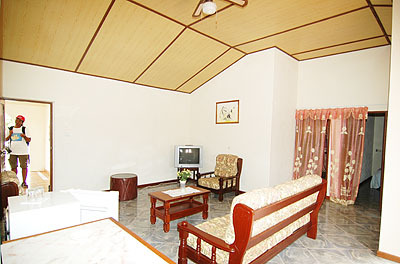 While normally lodging 4 adults, they can be equipped for families with up to 6 persons. Car rental, excursions, boat trips, fishing, surfing etc. can be arranged for. Prices vary according to season and length of stay. 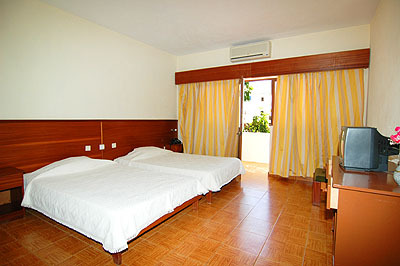 Single rooms are 15% to 40% cheaper in Cape Verde. Ask for an individual quotation for your intended season and stay.